For the past two and a half years, the Curiosity Rover has been trekking across the surface of Mars, searching for clues as to what the planet looked like many eons ago. In addition to drilling, scanning, and occasionally taking breathtaking photos, it has also been monitoring data on the planet’s limited atmosphere, hoping to learn more about its composition and surface temperatures. And according to the latest data obtained by the rover and processed by the Mars Science Laboratory (MSL), temperatures in the Gale Crater can reach a daytime high of -8 °C (17.6 °F). Meanwhile, here on Earth, cities in the northern US like Chicago and Buffalo were experiencing temperatures in the vicinity of -16 to -20 °C (2 to -4 °F). This means that, some parts of the United States are presently experiencing temperatures that are colder than on Mars! And in truth, this winter has seen many parts of the US and Canada experiencing temperatures that make Mars seem warm and inviting by comparison. For instance, on November 13th, Denver, Colorado experienced temperatures as cold as -26 °C (-14 °F) while the city of Casper, Wyoming, hit a record low of -33 °C (-27 °F). The morning of November 18th, 2014, was the coldest since 1976, with a national average temperature of -7 °C (19.4 °F). That same day, Detroit tied a record of -12 °C (11 °F), which was set in 1880. And then on November 20th, the town of Jacksonville, Florida broke a previous record (which it set in 1873) with an uncharacteristic low of -4° C (25 °F). Hard to believe isn’t it? Were it not for the constant need for bottled oxygen, more people might consider volunteering for Mars One‘s colonizing mission (which will be departing in 2023, FYI). However, these comparative figures manage to conceal a few interesting facts about Mars, and are hardly the whole picture. For starters, since it’s arrival in 2012, Curiosity Rover has been roving about in the Gale Crater – which is located near the planet’s equator. Here, the planet’s temperature experiences the most variability, and can reach as high as 20 °C (68 °F) during midday. What’s more, the planet’s has a greater eccentricity than all other planet’s in the Solar System – save for Mercury. This means that when the planet is at perihelion (closest to the Sun) it is roughly 2.8 AUs (42.5 million km) closer than when it is at aphelion (farthest from the Sun). 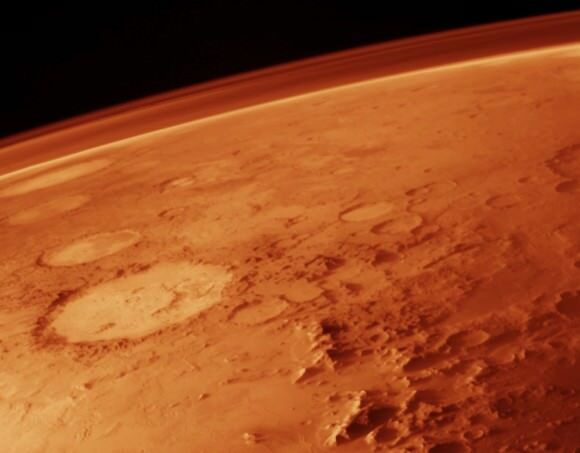 Having just passed perihelion recently, the average surface temperatures on Mars can vary by up to an additional 20 ºC. 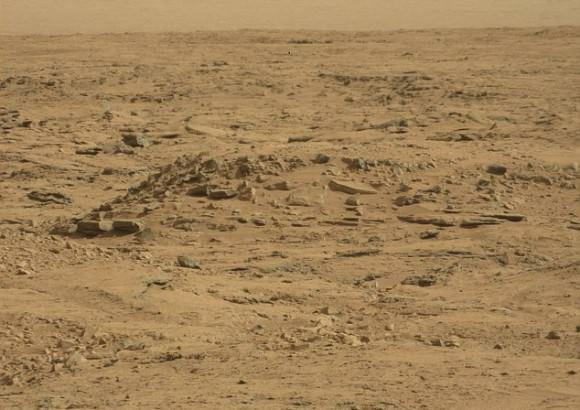 Overall though, Mars experiences an average surface temperature of about -55 °C (-67 °F), with temperatures at the pole reaching as low as a frigid -153 °C (-243.4 °F). 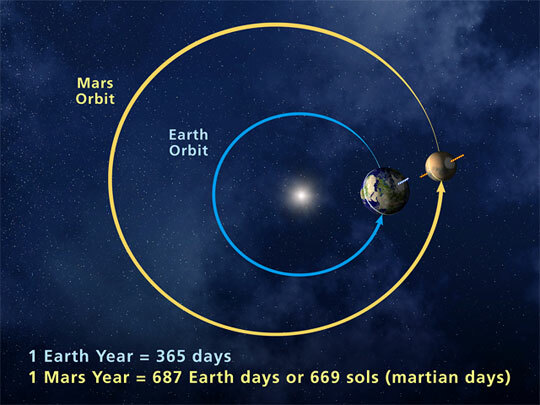 Compared to Earth then – where the average surface temperature is 7.2 °C (45 °F), the hottest temperate recorded was 70.7 °C (158.36 °F), and temperatures at the poles can reach as low as -89.2 °C (-128.6 °F) – Mars is still by far the colder of the two! Well, now I know where to send my grandfather for his next vacation. Right! You know, you should do more posts. We miss you here man. Ah, thanks! Also, I’ve finally opened up Snake and am preparing to read it. I noticed the dedication (thanks, btw) and got nostalgic. I really should come around more often. I would like that. And I hope you like Snake. Let me know what you think when you’re done with it. I’ve been working on a thesis since August, so I haven’t had a real chance to work on editing it. As soon as I can wrap up my thesis though, it’s VR all the way!